Add a bold, appealing look to your cabinetry with help from the Liberty 3-3/4 in. Bronze with Copper Highlights Birdcage Wire Pull. The pull features metal construction for durability. With a matte finish and sleek look, this Liberty 3-3/4 in. 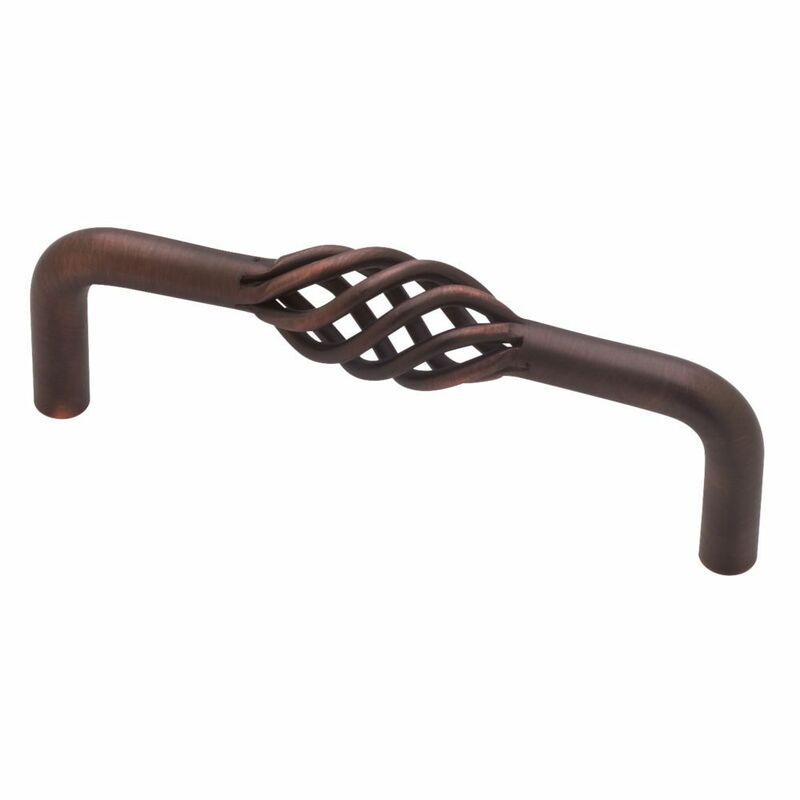 Matte Nickel Contour Pull can be used to enhance the design of your kitchen or bathroom cabinetry furniture. Update your cabinet hardware to give any room a new look and feel. Mounting hardware included for easy installation. From the Liberty Hardware Athens collection, the 3inch / 96 mm Dual Mount Caspian Pull features casual details for a simple, yet warm accent to cabinetry and furniture Crafted from die cast zinc for long lasting quality and durability. Hardware is included, and multiple finishes are available.. Pull, Birdcage Wire Design, 96mm Add a bold, appealing look to your cabinetry with help from the Liberty 3-3/4 in. Bronze with Copper Highlights Birdcage Wire Pull. The pull features metal construction for durability. Pull, Birdcage Wire Design, 96mm is rated 4.7 out of 5 by 12. Rated 5 out of 5 by Darrel from I bought this pull to match the 25 knobs that... I bought this pull to match the 25 knobs that I put on my kitchen cabinet doors and small drawer's. It was a perfect match. With a cleaning up with Old English, my kitchen looks brand new. Rated 3 out of 5 by Delaney from The reason for the 3 stars has nothing to do with the product itself. My problem was that the co... The reason for the 3 stars has nothing to do with the product itself. My problem was that the color shown online is totally different than the product I received, thus I returned the cabinet pulls. Rated 5 out of 5 by Anonymous from Great look! Purchased these to put on hinged closet doors and they look great and functional. Rated 5 out of 5 by Anonymous from Exactly as in store These were just as we were hoping they would be. Perfect color and make the cabinets in our RV look even better quality. Rated 5 out of 5 by Deserttink from Great handles Stunning look on doors and drawers. Would highly recommend. have used them in 3 houses we have refurbished.